As you know, I have an ongoing love affair with Vaquero Club for its location, topography, greenery and privacy, among other reasons. Several others do as well, given that CEOs of major corporations, professional athletes and at least one famous television/radio personality all live within spitting distance of the most fabulous estate I have ever seen in these parts: 2252 King Fisher Drive. I also love Vaquero for the schools. 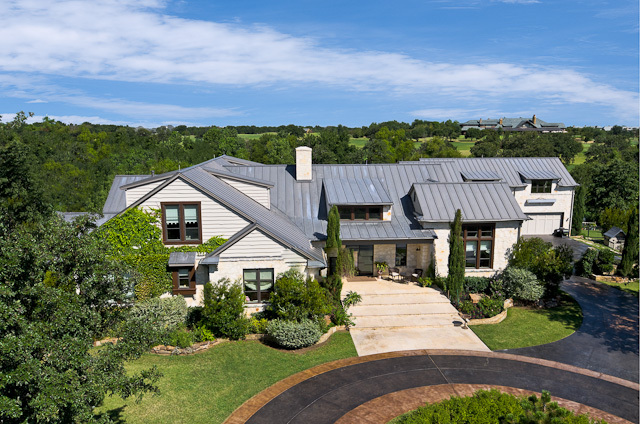 They draw buyers and keep property values tip top: parents have their choice of Keller ISD or the public charter school Westlake Academy, which serves K-12 and is an International Baccalaureate World School. Children who live in Westlake can attend Westlake Academy automatically — there are close to 2,000 students outside of the area on a waiting list to get into this highly coveted school. 2252 King Fisher Drive sits on a double lot of 3.83 acres, one of the largest in the guarded, stone-walled estate community that boasts 24 hour security, a Tom Fazio designed golf club, dining rooms, spa, tennis, fishing lakes, trails, trees, hills, and all a short drive to Southlake Town Center and DFW Airport. Vaquero is exactly 7 miles from DFW Airport. I know, because I dropped off my kids before I sank into this home. To say that once I walked in, I did not want to leave, is a true statement because I didn’t. I stayed for dinner, like the architect, Aaron Angle, who literally lived with the owners to provide the perfect, most custom home possible. So just who all lives in Westlake — or rather Vaquero, the toniest of the luxury developments out there off Dove Road? Glenn Beck. Mark Charles Teixeira. Chuck Greenberg. Jonas Brothers fam — Kevin and Danielle moved to LA last October. Ben Crane, K.J. Choi, Todd Hamilton (was leasing but closed on his house one month ago), plus Tiger Wood’s ex- golf instructor Hank Haney. Lots of baseball celebs: Vernon Wells, who plays for the Toronto Blue Jays, is building a 15,000 -plus square foot home, as is the ex-CEO of Exxon-Mobile. 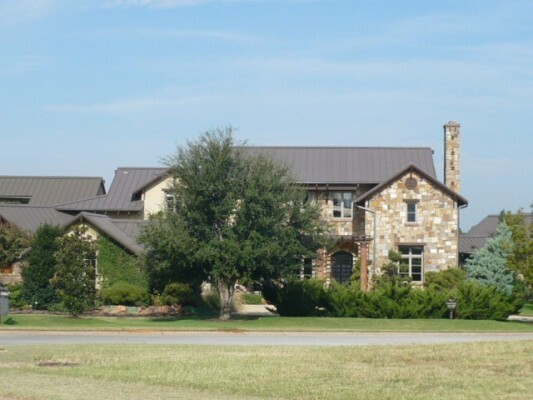 Vanessa Swarovski, heir to the famous crystal family, is the owner of the home Glenn Beck is leasing. Matthew Rose, CEO of Burlington Northern Santa Fe lives there. Who have I forgotten? Justin Leonard, whose home was Realtor Eleanor Mowery Sheets’ first listing in Vaquero. 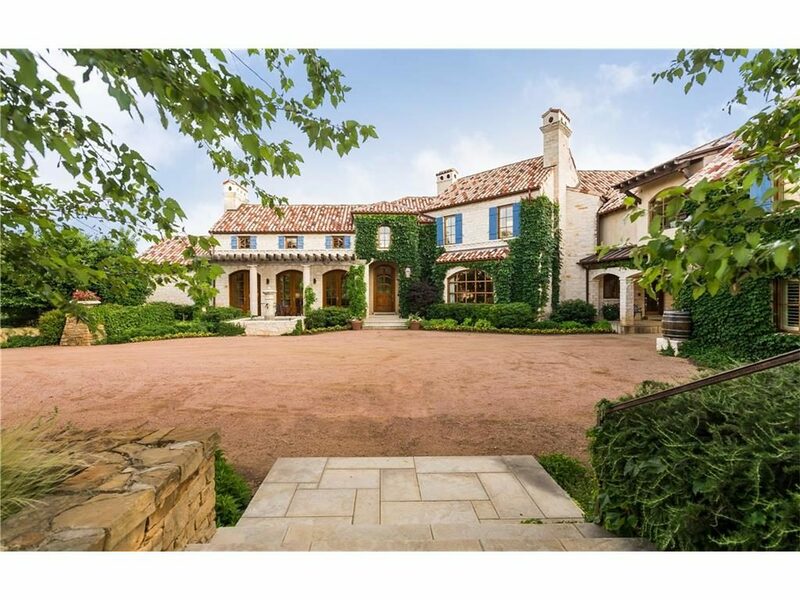 Will Chuck Greenberg’s Vaquero House Soon be On The Market Real Estate? Or will he keep it as a second home? Is he going anywhere? The Dallas Morning News is reporting (I subscribe!) that Chuck Greenberg will be replaced as the managing general partner of the Texas Rangers and CEO of the club‚Äôs operating holding company. Expect the announcement later today. Something is apparently rotten in Denmark: a source told the Dallas Morning News that¬† Greenberg left the Rangers‚Äô spring training facility in Surprise, Arizona abruptly on Saturday, this during what was supposed to be a fun-filled, happy, joyous weekend for the partners. And oh dear: Greenberg did not show to a party he and Nolan Ryan were supposed to host on Sunday. It’s only been seven months since the MLB‚Äôs approved Greenberg, Ryan and more than a dozen others to purchase the club for more than $590 million. And the Rangers even made it to the World Series! 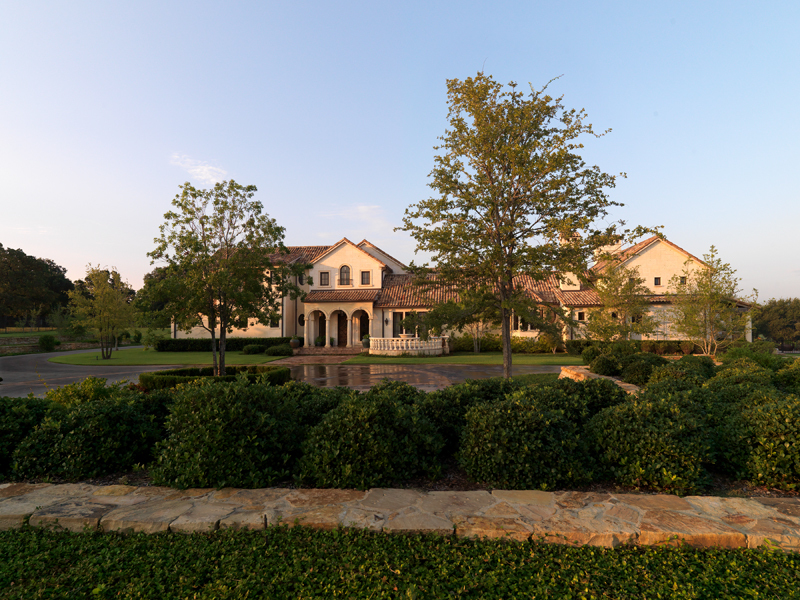 Last April 26, Chuck Greenberg put a contract on this lovely little number at 2211 Vaquero Estates Boulevard (this video of the home is a must-see) owned by former Cowboy Tony Banks, which was listed for $3.5 million with Roxann Taylor and Associates realtors. The home had been on the market for awhile. It’s Mediterranean style, with¬† 8754 square feet and a view of Vaquero‚Äôs 17th and 18th fairways. It‚Äôs on a cul de sac and has amazing custom finish-out amenities throughout like most Vaquero spreads ‚Äî huge formals, multiple living areas, master suite with his and her closets and full coffee bar, fabulous kitchen with top of the line gourmet appliances, auxiliary kitchen, wine cellar, game room with microwave and drawer-type dishwasher, full media room, huge sparkling pool. The¬† loggia comes with a 42-inch flat screen and outdoor kitchen. One of my trusted sources tells me Vaquero is getting quite active these days, I quote: “things seem to have picked up quite a bit in Vaquero with several home and lot sells since the first of the year”. 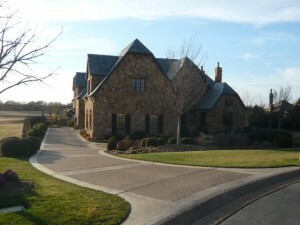 It must have helped that Forbes.com named Vaquero as America’s Most Affluent Neighborhood. P.S: Last time I was out there, it appeared that the Greenbergs were doing some work on the house, so I did not snap pics. You don’t take a picture of a girl when she’s in the middle of a face-lift! Adrian Beltre Looking to Buy in Vaquero? This is Adrian Beltre. Third baseman for the Texas Rangers. Born in the Dominican Republic. 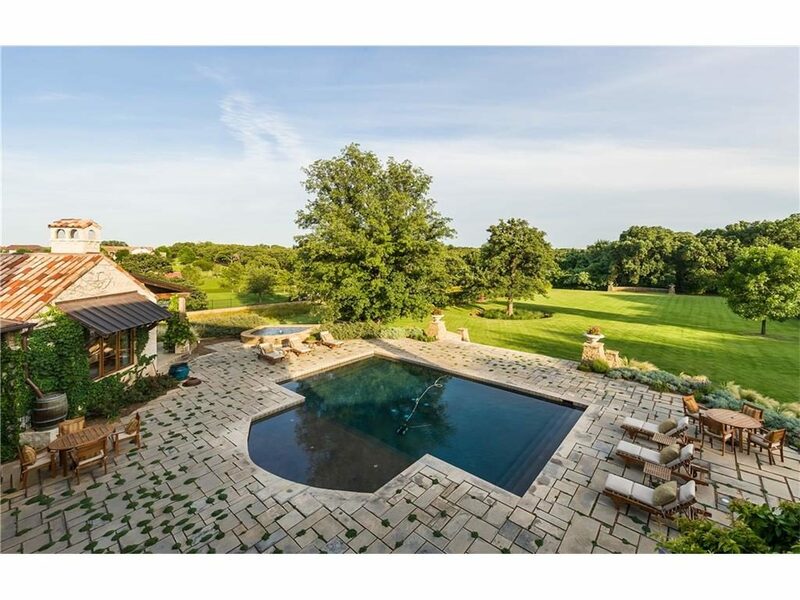 He is selling this California home, as I mentioned to you earlier in the week, and he and his adorable wife are house-hunting in — where else — Vaquero. (Update: My friend the RealEstalker, a.k.a. Mama,¬† tells me that Bradbury, where Adrian’s Cali house is on the market for $19 million big ones, is one of the most expensive communities in the country. It is also surrounded by toilet bowls. If you are ever looking out there, take toilet paper.) But here, that agent- to- the- stars, Allie Beth Allman, has been toting the darling couple around town all week. Allie Beth, as you may recall, is the agent who found former President George and Laura Bush their home over on Daria Drive. Here’s one of the glorious homes the Beltres may have been gazing at in Southlake, but I hear they have their hearts set on Vaquero. Tons of inventory out there, like the Jonas Brother’s home. Or this one, one of my all time favorites, because the lines are so clean. And when I say big, I mean big. The place is taking up at least two lots over on Kingfisher drive (love the name of that street) in toney tone Vaquero, in Westlake. I don’t have the vital stats yet, but I’m guessing that Wells, the former Blue Jays outfielder, is planning on, oh 18,000 square feet? And he’s right next to Teixeira when his home is not on the market.